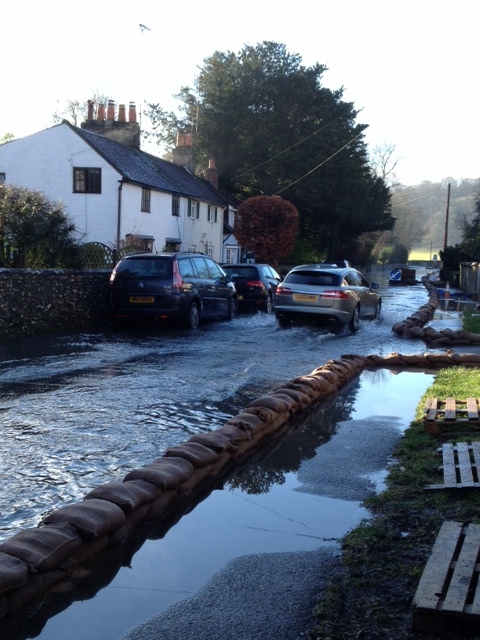 Southern Water is promising there will be more work soon to protect the Hampshire village of Hambledon from floods. A major clean-up operation is underway in the village after heavy rain led to sewage spilling out of manholes on Saturday (18 January). 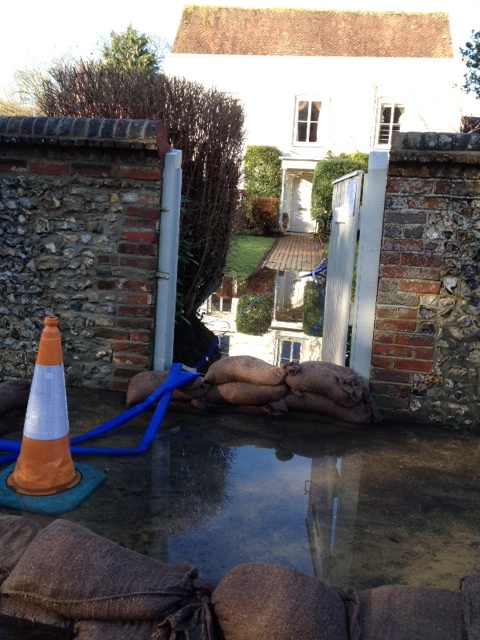 Around 100 people from the village were out on Saturday night putting sandbags in place outside the homes to protect them from the water. 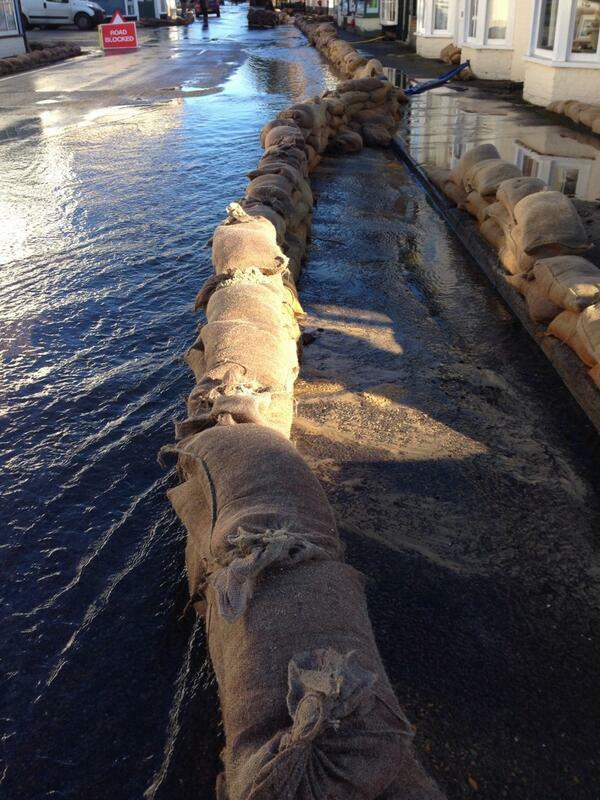 12,000 sandbags were put out around the village to protect homes. "In the last year we've spent £160,000 sealing about 100 metres of sewer. We've also improved 15 manholes to stop water getting into the sewers that shouldn't be. "We will do all we can to prevent more flooding in the short term. For the longer term, we'll be back to do the second phase of our work to seal the manholes and seal the sewer system to try to prevent that water getting in. "We'll be surveying sewers in the northern part of the village and doing a similar sort of programme of sealing the sewers to try to stop the water getting into them, infiltrating them and ultimately making them overflow." 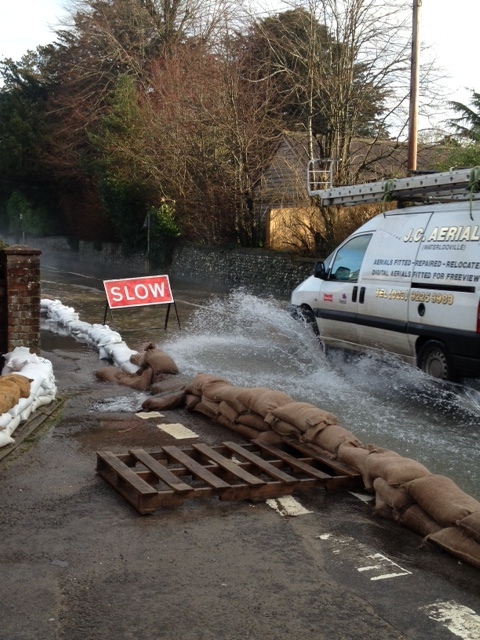 "Southern Water is working hard to help ease the impact of unusually high groundwater levels in Hambledon. The water has risen at an alarming rate, due to the prolonged heavy rain, inundating our sewers which were only designed to carry wastewater flows from people's homes. "Our systems were working as they should, however, have been overwhelmed by the sheer volume of groundwater, which has risen so high it is now flowing through the streets. It is important to note our sewers were not designed to carry this water. "To ease the pressure on the sewers, and to help prevent them from overflowing, we have three tankers sucking out the excess flows and transporting them to a nearby treatment works. "We have also added extra capacity to Bury Lodge Pumping Station by installing temporary pumps which are pumping water out of the sewers. The pumping station has not failed - we have simply added new pumps so it can pump away even more water from the sewers. "Dealing with flooding, particularly that caused by groundwater, requires a joint approach and we are working alongside the local authorities and the Environment Agency. "We are committed to making improvements to the sewerage system in Hambledon and, as well as our work to update the pumping station, over the year we have invested £160,000 to survey and seal the sewers in the southern part of the village. "Bearing in mind that the optimum time for locating leaks is when the level of groundwater is marginally above the sewer, we will return to conduct further work in the northern part of the village when conditions are appropriate. "The issue of flooding is complex with various agencies, including local authorities and the Environment Agency, responsible for different aspects of drainage. "Southern Water is responsible for the public sewers and our responsibility is to manage the flows our sewers are intended to carry. These include wastewater flows from toilets, sinks, baths and washing machines and rainwater from roofs and drives. However, when groundwater levels are high and the drainage systems (which are the responsibility of other agencies) cannot cope, our public sewers can become inundated by large volumes of water that they were simply not designed to carry." Hampshire County Council leaders visited the village over the weekend, with council staff brought in to help with clean-up. 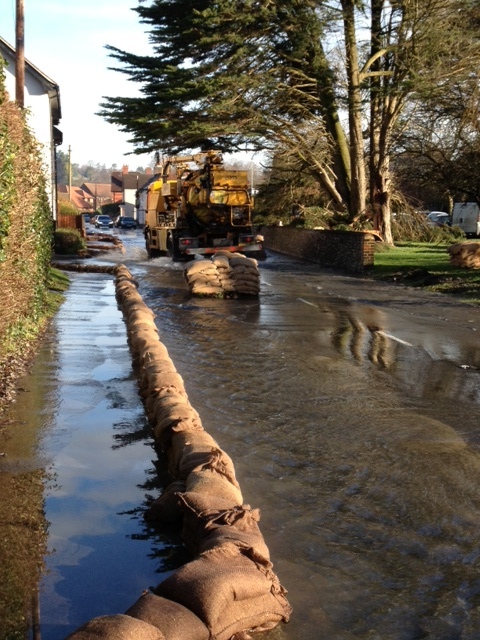 The B2150 between Hambledon and Droxford is still closed this morning (Tuesday 21 January) due to flooding.